Free Pick on the Miami Heat +8.5. Both the Heat & the Bulls are coming off a night of rest before this afternoon showdown. The Miami Heat are listed as a +8.5 road underdog and I think there is some value with taking them plus the points. The last time these two teams met earlier this season the Heat were a little bit banged up & this Miami team wants to find a way to beat this Bulls team as they have lost 7 of the last 8 meetings. Luol Deng makes his first appearance back in Chicago as now a Miami Heat player and I am sure he will want to put on a good performance. The Heat actually have the better defense on paper between these two teams and also hold the better field goal shooting %. 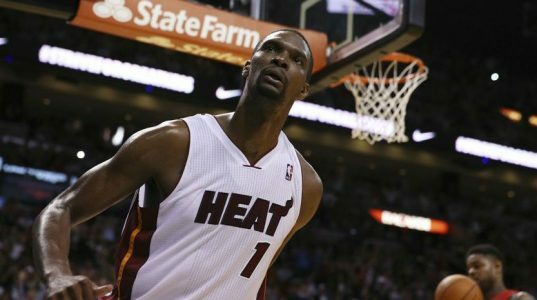 The Heat are 4-0-1 ATS in their last 5 road games & 8-3 ATS in their last 11 following an ATS loss. The Bulls are 1-5 ATS in their last 6 games coming off 1-day rest & are 2-8 ATS in their last 10 against the Eastern Conference. I am looking at a game that comes down to the wire & tough defense on both ends of the court. +8.5 points is to many to pass up in a spot like this. Grab Sunday’s College Hoop BEST BET & receive my SuperBowl Winner FREE! Act Now – Win Now!